Interior designing is a costly affair and apart from money, you ought to be double sure about everything you do as part of your interior designing project. Right from choosing a theme, to lighting and color shades for wall painting and choosing an interior designer, you can’t afford to go wrong. Hence you should take calculative decisions before you book an interior designer to help you through the project as a consultant or on turnkey basis. Have you recently bought a home and looking for an interior designer who can help you with interior designing of your house? Are you moving to a new house and wish to get interior work done before you move in? But in doing so, are you unaware where to find competent and affordable interior designers? You can find one right here. Interior designers and decorators help you put your creative stamp in your home by dealing with decorating, furnishing and space utilization issues, and many other things, in unique ways. And here’s what you should do for best result when working with an interior designer and decorator contractor. The first question, of which you must know the answer, is “Who are the interior designers and decorators”? Interior designing is a line of study, a theoretical and scientific discipline which is very much different from architecture as well. 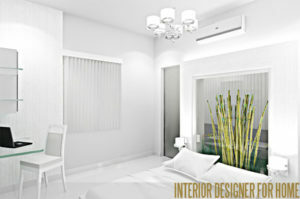 The interior designers deal with the scientific evaluation of a given space in terms of functional and aesthetic sense. The interior designers will consider the design, layout, size of the place, they will help you to decide from the floors to the walls, from the furnishings to the curtains, from the accessories to the cushions. They will consider each and every minute details of your home. Whereas, the interior decorators will deal with the colour of the walls and floors, the fabric etc. The interior designers can be decorators but the decorators cannot be designers. This is how the interior designers and decorators differ from each other. You must know the difference before hiring one as per your choice. Do your own research on the Internet and note down your expectations e.g. what kind of look and ambiance you want to get for your room and what is your budget. Remember, unless you communicate well about your own expectations, the interior designers and decorators won’t be able to create that perfect room for you. So having a clear understanding of what kind of color you want, what kind of style you like, how you will be using your room, what kind of people will be staying or coming in that room all these matter a lot. Always make sure to go through the portfolios of interior designers and decorators who are interested to work on your projects. Looking at their past works will give you an idea of what they are capable of as well as also help you get some wonderful design ideas that you might not have imagined. Once you compare their portfolios, ask for some references of their past client and talk to their past clients. This will help you understand how efficient and professional they are at their job. Your project will not end in a day you must ensure the people you are working with are really professional and open to ideas and input from you. You may post your service request quote at ServiceSutra.com to get connected with some of the best interior designers and decorators in your city. Once your submit your requirements, you will receive call back from three interior decorators and designers, who will be contacting you, submitting their quote estimates that you can compare and choose one of them.